Cottage, 3 Bedrooms, 1 Bathrooms, (Sleeps 7) with glorious rural views. Steve and I are retired Dairy Farmers that currently graze dairy stock on our property and operate a Farm stay. We enjoy meeting new guests and sharing our little piece of rural New Zealand. We have been on Airbnb for the past 2 years with 5 star reviews and would love to have you stay with us, enjoy our lovely Cottage and maybe meet a friendly cow or two. Waikite Valley is only 25 minutes to Rotorua and is a lovely thermal valley. We purchased this property 6 years ago as it has a wonderful, tranquil and peaceful feeling about it along with great view over the Valley. Freshly decorated/carpeted 3 bedroom Cottage. Fully self contained for self catering during your stay. Plenty of space for the family with no neighbours out your window. Fabulous views of the valley from the deck side of the house. Amenities that provide a home away from home. Picturesque view over Waikite Valley farmland. Along with the piece and quiet of rural life in New Zealand. Wireless internet supplied at 2gb per night of stay. Unfortunately in rural areas we cannot get unlimited data. Waikite Valley Thermal Pools. Lovely variety of different pools along with a childrens pool. WaiNot Farmstay is a really beautiful place to stay. Set in an idyllic & quiet location with great views from every room across the immaculate garden and splendid scenery. The cottage is perfectly equipped with all mod cons. The rooms are cosy decorated and with a generous layout. 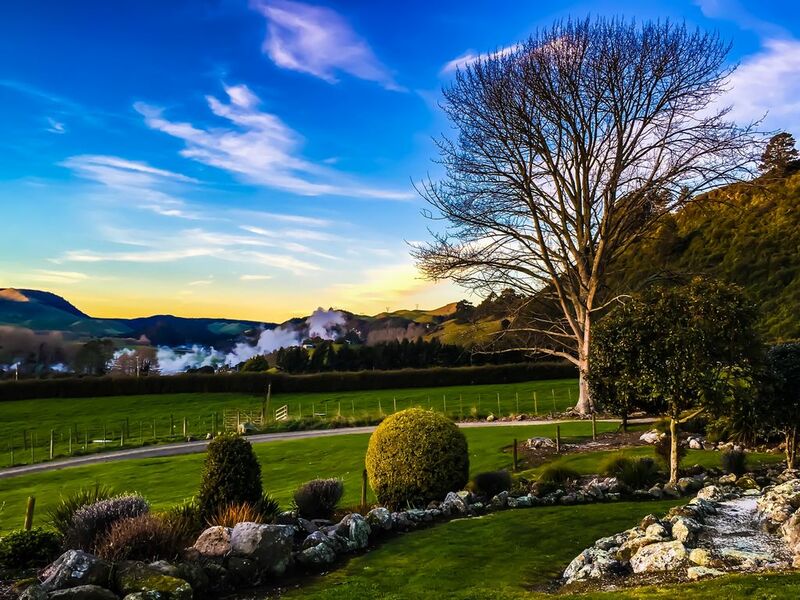 The location is ideal to tour the Thermal Highway with easy access to Rotorua and Taupo...and you can even stroll over to the Waikite Valley Hot Pools for an evening soak. Steph is a perfect host and we were really sad we couldn't stay longer in this beautiful place. It was a pleasure to meet the Berger Family and have them stay at the Cottage (5 Star guests). Thank you for the lovely review, we are glad you enjoyed your stay at WaiNot Cottage.